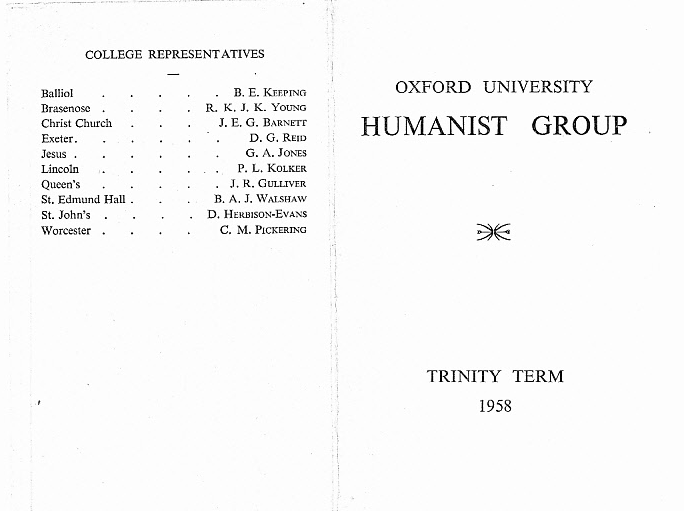 This is the first term with a full programme of meetings. 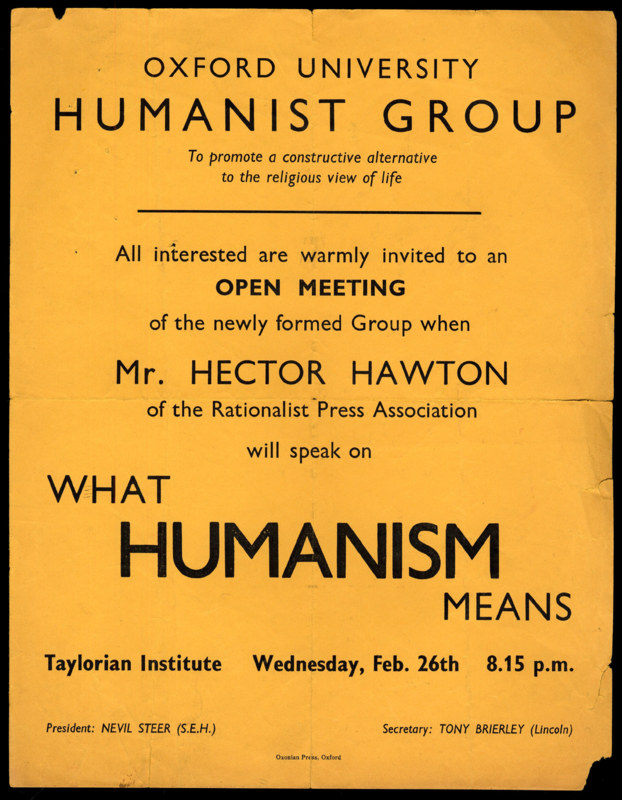 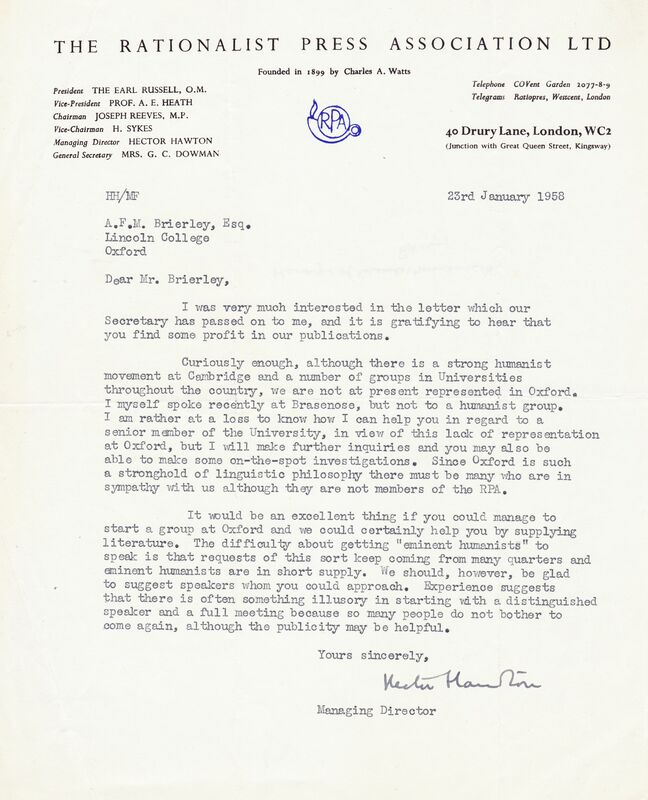 The first meeting was addressed by the pioneer of modern humanism in Britain (and co-founder in 1952 of the International Humanist and Ethical Union) H J Blackham, then secretary of the Ethical Union, the organisation that is now the British Humanist Association. 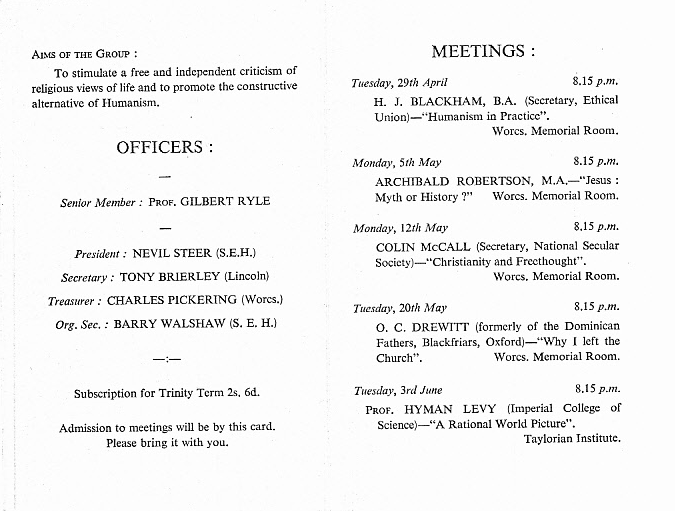 The president was Nevil Steer, secretary Tony Brierley and treasurer Charles Pickering.